A major development in retailing occurred in the 1830s when two young enterprising men established a drapers shop in Church Street. Instead of restricting their wares to one particular line, they steadily expanded their stores to supply a wide range of goods covering most family needs from shoes to saucepans. Opening shop after shop, their premises eventually occupied a frontage on to Church Street from Tarleton Street to Basnett Street and extended in depth to Leigh Street. The venture was a great success and said to be the envy of their business rivals until their partnership broke up. Some years later, at the beginning of December, 1865, the whole of the establishment was destroyed by fire. Although rebuilt and reopened in 1867, Compton House as it was named, finally closed in 1871. 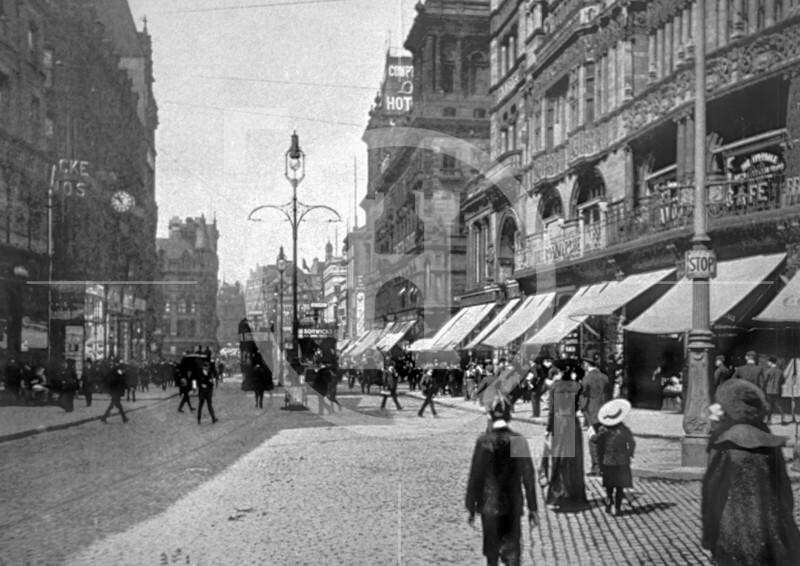 The Bon Marche and Compton House are on the right of the photograph.